February was a busy month for the James B. Duke Memorial Library as it continued to deliver outstanding programs that connect students, faculty, and the community. On February 3, 2019 the library hosted a soft launch of the Reclaim 37exhibit by featuring the work of Brandon Lunsford, University Archivist. Brandon has been working on a grant project through the National Endowment of the Humanities to create an interactive digital map of the historically African American neighborhoods surrounding JCSU available here https://www.westendcharlotte.org. 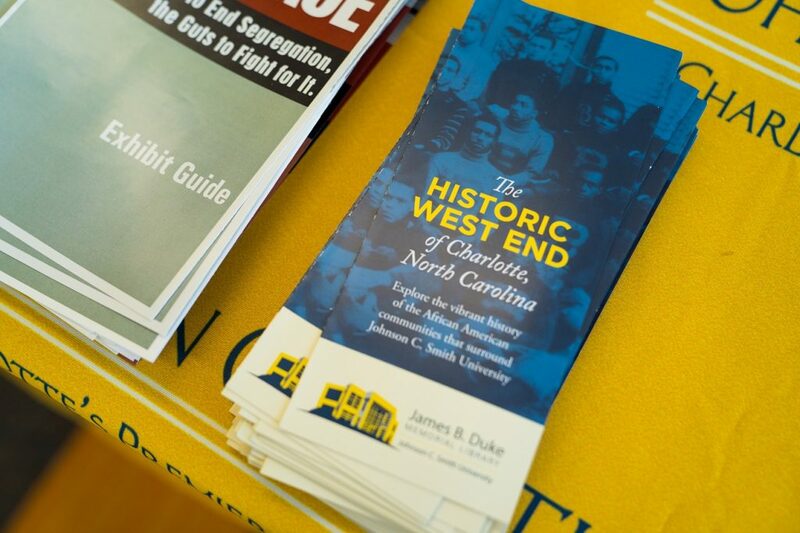 The map features historic photographs and documents held by JCSU and other institutions like UNC-Charlotte and the Charlotte Mecklenburg Public Library, as well as oral histories recorded with long-time residents of the Northwest Corridor. The day opened with African dancing and drumming and continued with visual presentations and jazz music, and the event attracted seventy-five visitors to the library. The JCSU Collegiate Storytelling Organization is coming along. 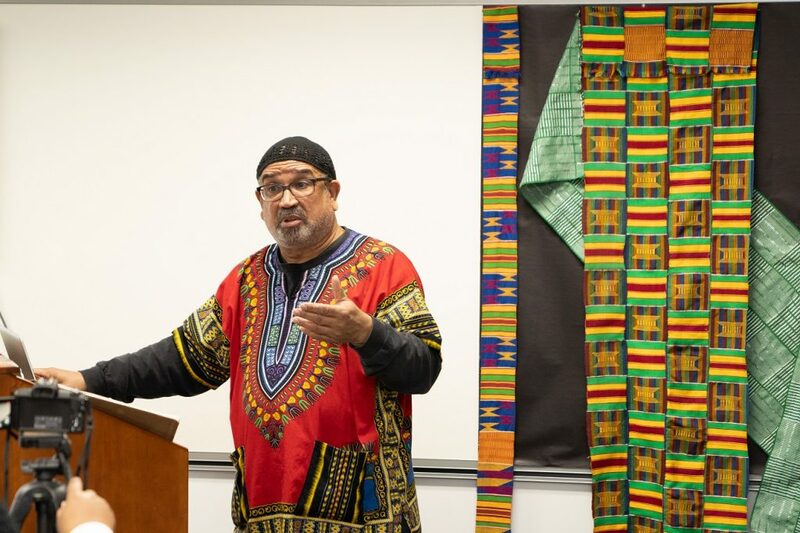 Representatives from the North Carolina Black Storytellers Association performed stories on February 2, 2019, and Dr. Antonio Henley brought his class to the library for this program. Faculty, staff, and students participated in the program, and over fifty visitors attended. 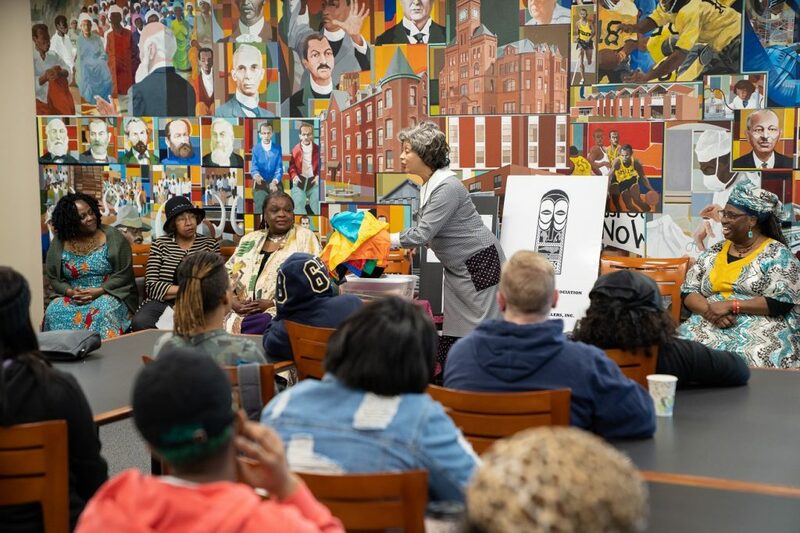 On a rainy and cold day on February 19, 2019, thirty people came out to hear Makheru Bradley’s presentation on Culture, Kwanzaa, and the Racial Climate in America. Mr. Bradley provided an intensive reading list, which will be a part of the HBCUWeRead initiative, a reading campaign at JCSU. Visit us at http://library.jcsu.edu to learn more about upcoming events. The Reclaim 37 exhibit formally opens on April 7, 2019.